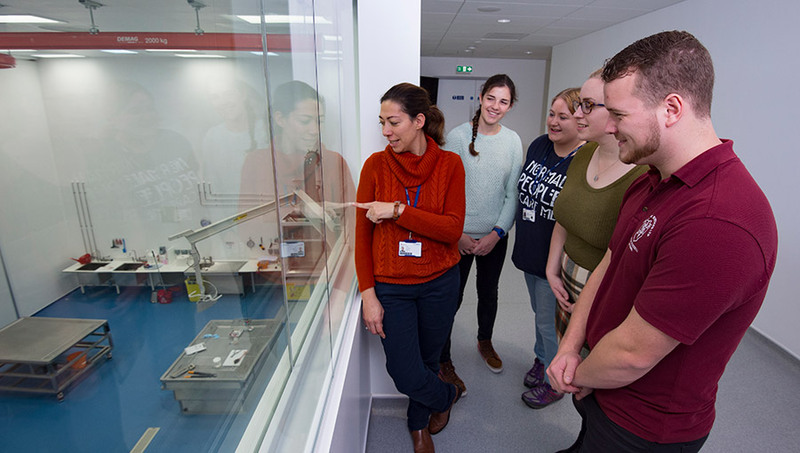 We offer exemplary teaching facilities for veterinary students and vets-in-practice, as well as acting as a hub for veterinary surveillance through post-mortem examination of companion, livestock and zoo animals. Our purpose-built School of Veterinary Medicine includes dedicated teaching spaces, breakout rooms, research and teaching laboratories and a large veterinary Clinical Skills Centre. Located on our Manor Park campus, our Veterinary Pathology Centre offers state-of-the-art pathology teaching, research and diagnostic facilities.